Five months ago we started this webcomic. TIme flies when you’re making comics with your best friends. Please share and tell us what you think. Today is the beginning of the weekly Captain Unikorn webcomic. Christian and I originally self-published and sold out of 200+ copies at the Phoenix Comicon and Tucson Comic-Con this past year. We decided to release the entire book as a free webcomic so that anyone around the world can enjoy it. Please keep in mind, we created this book in b&w (because it’s cheaper to print), but we plan on launching a Kickstarter project to print the book in full color in the near future. Thanks for taking a chance and please click the follow button so you don’t miss a single page of the story. Buy the entire book here. Like our Facebook like page here. Catpain Unicorn/Unite and Take Over! 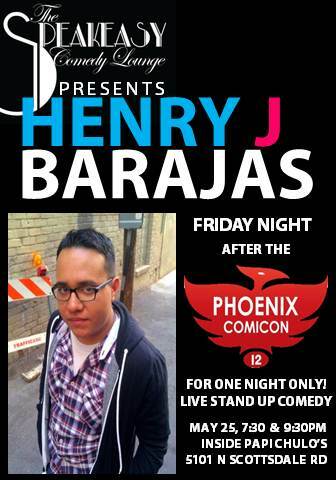 Phoenix Comicon was a burst of inspiration and the much needed creative jolt. I think for everyone around me. Everyone I know that came from the event was just reminded how awesome it is to create. I spent the weekend with Christian’s family. 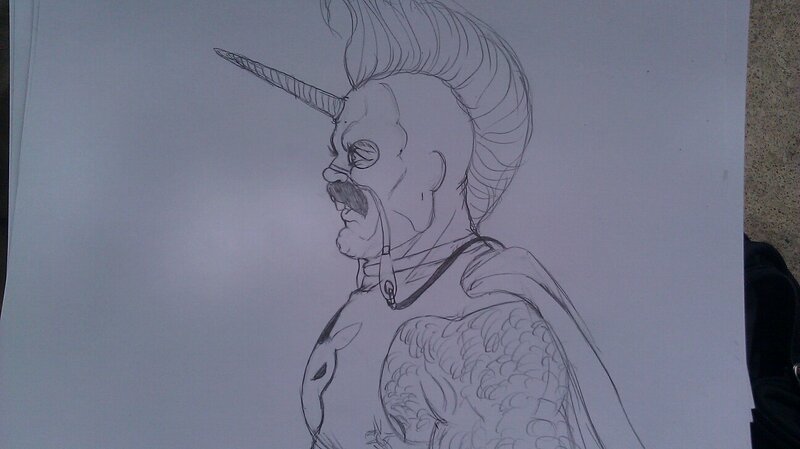 We have outlined our next three comic book projects and one of them is Captain Unicorn. We have deciced to make a comic that is original and empowering to everyone. As much as I love rehashing out the same old 60’s super heroes, but I want to tell you something that you have been looking for. A new idea. Here is some preview art of the three part mini series. If Dexter season six and “life” doesn’t get in the way, you should have three new comics out before TCC. Friend C.V. and I on Facebook to get the most update information on our current projects. 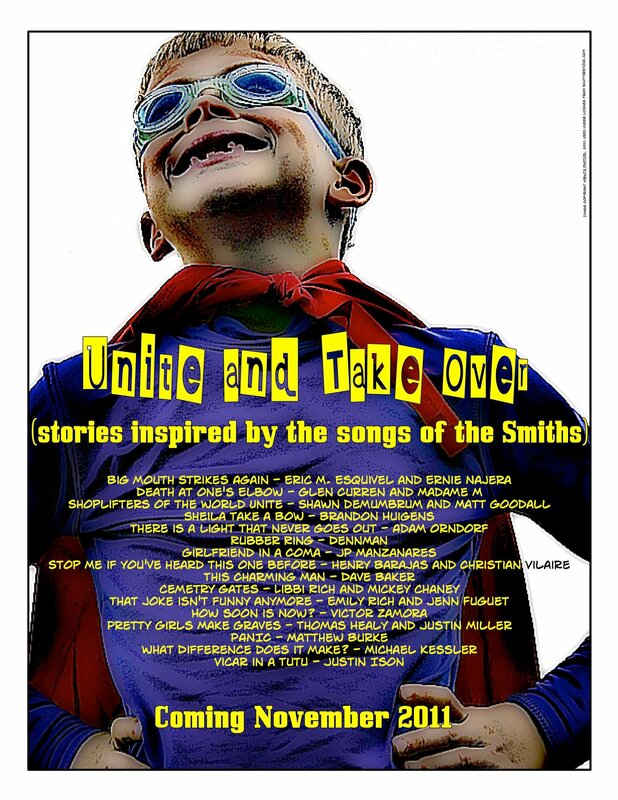 We are currently focusing our energy towards a comic book anthology called “Unite and Take Over” with Spaz Dog Press. All the stories are inspired by The Smiths/Morrissey music. C.V. and I signed up and picked “Stop Me If You’ve Heard This One Before” as our influence. 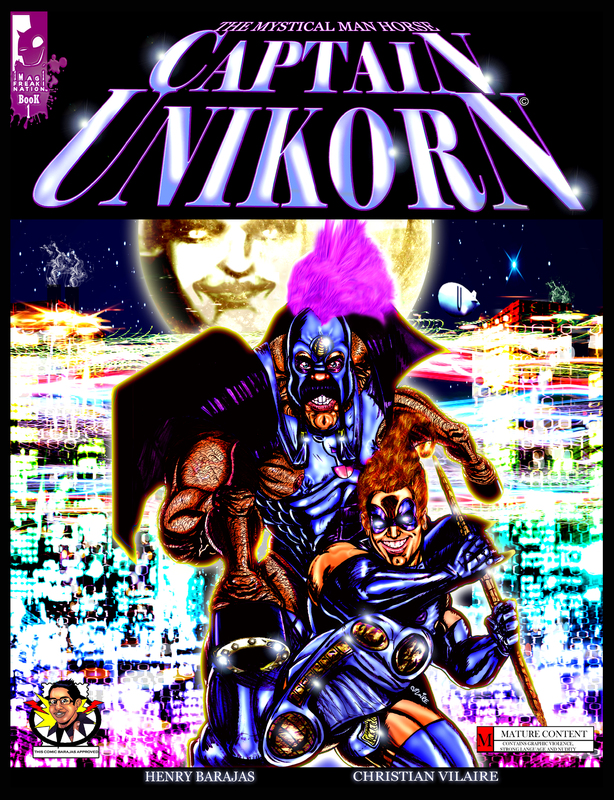 The script is finished and off to C.V. and the book is supposed to debut at the Tucson Comic Con! Secret projects and big stuff coming this year. We got six months left, so lets make them count. 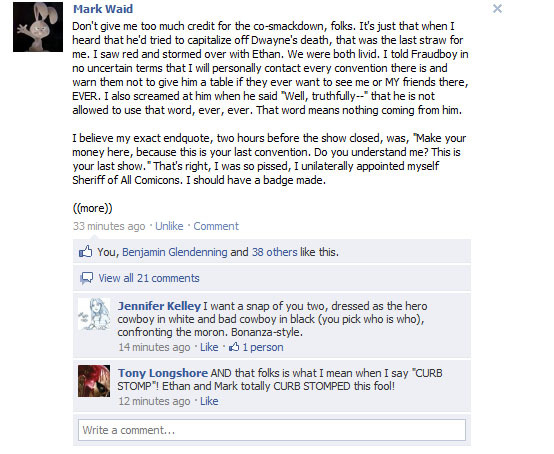 Mark Waid is LAW! Mark Waid shuts Rob Graninto down. I’m sure this was Rob’s worst of weekend of his life. Hope no one takes this too far. November 5th 2010 (mark your calenders) the night before the Tucson Comic-Con, for one night only, at the Screening Room at 8PM you can watch Grant Morrison: Talking with Gods on the big screen. The admission is only $6! Tucson Comic-Con and Heroes and Villains will be at the event. Tell your friends, tell your wives, tell your kids and tell your husbands because we are inviting everybody. Does any one want to buy some girl scout comics? 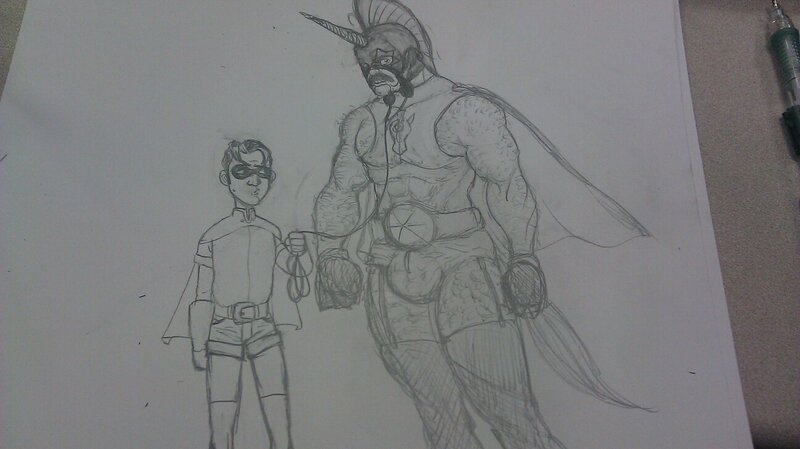 I can’t wait to get the green light for my first comic book work. I am very stoked for this project to take flight. I have asked a couple of local artist to help out, but more details when everything is finalized.